With the assistance of our packaging experts and advanced machines, we became capable of meeting the standard as well as customized packaging requirements of the clients. We are trusted for the timely delivery of orders as we are assisted by the modern transportation facilities. Nelfinavir (Viracept) is an antiretroviral drug used in the treatment of the human immunodeficiency virus (HIV). Nelfinavir belongs to the class of drugs known as protease inhibitors (PIs) and like other PIs is generally used in combination with other antiretroviral drugs. 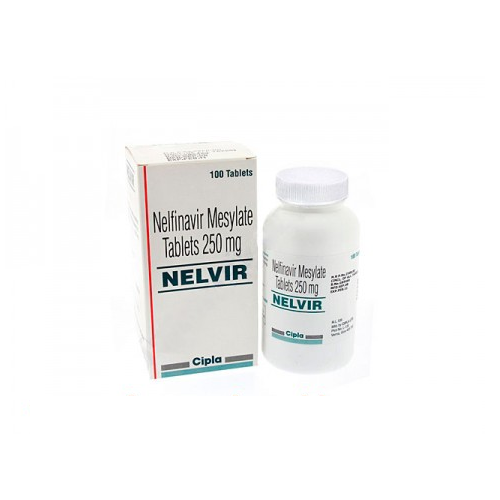 Nelfinavir mesylate (Viracept, formally AG1343) is a potent and orally bioavailable human immunodeficiency virus HIV-1 protease inhibitor (Ki=2nM) and is being widely prescribed in combination with HIV reverse transcriptase inhibitors for the treatment of HIV infection.